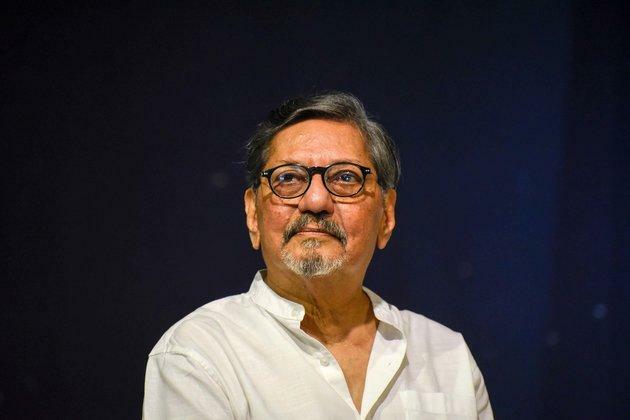 Two days after Amol Palekar had to cut short his speech at an NGMA event in Mumbai for being critical of the Ministry of Culture, opposition parties Sunday accused the NDA dispensation of "policing people's thoughts", even as the gallery's chief refuted the veteran actor-director's charge of artists' advisory panels being scrapped. A video available on social media purportedly showed Palekar criticising the ministry at the opening of an exhibition in memory of artist Prabhakar Barwe on February 8 for reportedly scrapping the advisory panels of the National Gallery of Modern Art's (NGMA). While his speech remained incomplete due to interruptions, the full text has been circulating on social media for the last two days. The veteran actor-director on Sunday said he was only trying to seek reasons behind the cancellation of retrospectives of two senior artists. Palekar told reporters in Pune that the artists' advisory committee at NGMA, which is under the Ministry of Culture, had approved holding of retrospectives of three artists, of whom Prabhakar Barwe's work was inaugurated. "But I came to know that without any communication to the committee, the next two retrospectives have been cancelled by Mumbai NGMA's new director Anita Rupavataram. I wanted to raise these issues. How and when these decisions were taken, we wanted to know," he said. Retrospective is an exhibition or compilation showing the development of an artist's work over a period of time. When contacted, NGMA Director-General Adwaita Gadanayak said the advisory committees of the gallery's Mumbai, Bengaluru and Delhi centres have not been dissolved. "Their terms have ended recently and they are in the process of being reconstituted. For artists whose works were being showcased it was no less than a wedding. It is a big event in their lives. It was not the right platform for him (Palekar) to raise such issues," he told PTI. "The recommendations of previous advisory committee will be honoured and exhibitions of artists will happen as proposed. The new advisory committee will take a decision relating to future exhibitions," Gadanayak said. Asked if any action will be taken against those who interrupted Palekar's speech, he said, "We will do something." Hitting out at the NDA dispensation over the issue, Congress leader Kapil Sibal said this was the "acchhe din" that Prime Minister Narendra Modi had promised and alleged that the government had "taken away the right of the common man to speak". "There are many things happening in this country which have never happened before. Amol Palekar was not allowed to speak. In cases where big people are accused, in those cases CBI does not appeal. Institutions like CBI and ED are being destroyed. "Anyone, who they feel, are against them, are slapped with NSA, sedition cases, served ED notices. I have never seen this kind of environment... we will all suffer the consequences," he said. His party colleague Abhishek Manu Singhvi, in a tweet, termed it an effort to silence dissent. ? "Is India being redefined? Are institutional pillars of democracy trying to silent the dissent of people (sic)?" he wrote on the mircoblogging site. Samajwadi Party chief Akhilesh Yadav accused the government of trying to control thoughts and alleged that this was a sign of a nervous government. "Why does the BJP want to police people's thoughts and opinions and control what they eat, wear, say and do? They want to make India monochrome and colourless. Telling Mr Palekar to stop speaking shows the nervousness of the government," he tweeted. CPI(M) General Secretary Sitaram Yechury, wrote on Twitter, "The whole essence of our democracy, our constitutional rights, is the freedom to criticise the government and its leaders. No one is above criticism. This behaviour with Amol Palekar is undemocratic and highly condemnable." Industrialist Anand Mahindra tweeted, "However inappropriate Palekar's comments were for the occasion, he wasn't a heckler, he was an invited speaker. The best way to prevent a controversy is for the Ministry of Culture to clarify that it welcomes constructive criticism and that Indian Culture celebrates free speech." At the opening of the exhibition "Inside The Empty Box" in Mumbai on Friday, Palekar had said, "Many of you may not know that this retrospective will be the last show decided by the advisory committee of local artists and not by some bureaucrat or an agent of the government with an agenda of either moral policing or proliferation of certain art commensurate with an ideological incline." At this point, an NGMA member on the stage interrupted, saying that Palekar should talk about the event. To this, Palekar responded, "I am going to talk about the same. Are you you applying censorship to that?" He then said according his information, after the abolition of local artists' committee, decisions as to whose work should be exhibited would be taken from Delhi by the Ministry of Culture. Palekar was again interrupted by a woman, who said, "This is not needed at the moment, sorry...The function is about Prabhakar Barwe, please stick to that." Despite being asked to stop, Palekar went on to mention that writer Nayantara Sahgal was invited to speak at the Marathi literary convention recently but at the last minute the invitation was withdrawn because what she was going to say "was slightly critical of the situation around us". "Are we creating the same situation here?" he had posed.